Sugar Factory is known the world over for its celebrity-endorsed Couture Pops, which have turned sweets into the latest designer accessory. We now have locations in some of the world’s most cosmopolitan cities, including Las Vegas, New York City, Bahrain, Chicago, Miami, Dubai, Orlando and Manila. Iconic superstars including Kylie Jenner, Kendall Jenner, Britney Spears, Drake, Nicole Scherzinger, Kim Kardashian, Eva Longoria and Rupert Grint are just a few of the celebrities who have either endorsed or have been spotted with the sparkly lollipops. 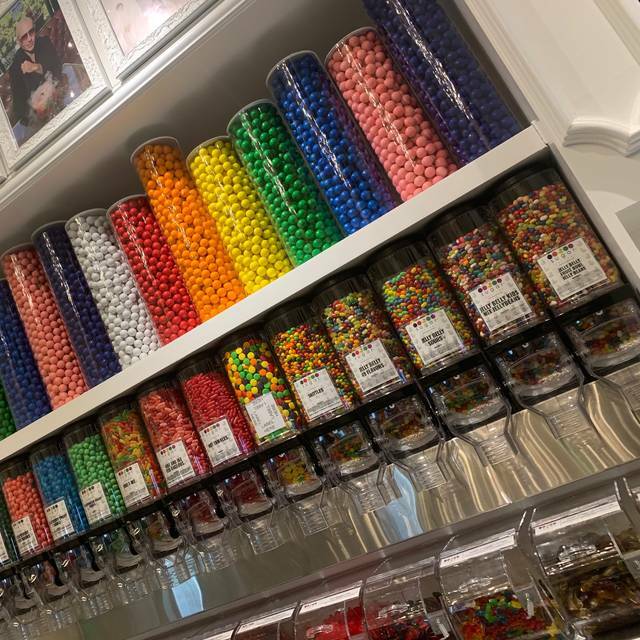 Sugar Factory’s loyal celebrity following has received widespread media attention from People Magazine, the Daily Mail, US Weekly, Entertainment Tonight, Extra and more. *"This item can be cooked to order. Thoroughly cooking food of animal origin, including but not limited to beef, eggs, fish, lamb, milk, poultry, or shellfish reduces the riskoffood bome illness. Young children, the elderly, & individuals With certain health conditions may be at a higher RISK ifthese foods are consumed raw or undercooked"
We arrived at a busy time of day on a Wednesday night. Although we had reservations, we were unable to be seated immediately. Ironically, we watched and heard others, same number of guest in our party, be seated as a walk in. We sat, ordered food and drinks and proceeded to enjoy the experience. Our server was really pleasant and greeted us with a smile. She recommended food and drinks, as this was our FIRST Sugar Factory experience. Although she was nice, service was VERY slow. We received our goblet AFTER we ate and couldn't finish it in it’s entirety. We received our bill, gave her our cards and waited for her to return. When she did, she mixed up the bills ($20 difference). I later learned from my banking app that even with that mix up, she charged me a couple dollars more than the actual tab. It couldn't have been gratuity, it was only 2 of us. Not sure if she was new to waitressing, under pressure or just not paying attention but that was a little disheartening. I’m certainly going to return to the restaurant. I have to get it another chance and hope that my experience it altered. It was such a fun hip place to take the kiddos. We definitely need to come back for a birthday. Food/drinks were a bit pricey but delicious. We loved our seats and the kids had a blast with the party atmosphere will definitely be back. Overall it was pretty good. For a Monday night it was very busy. Had dinner reservations at 6:30 pm & seated within 5-7min. Food was good but pricey & service was slow. Would recommend to friends & family if they want to experience something new & celebrate a birthday. 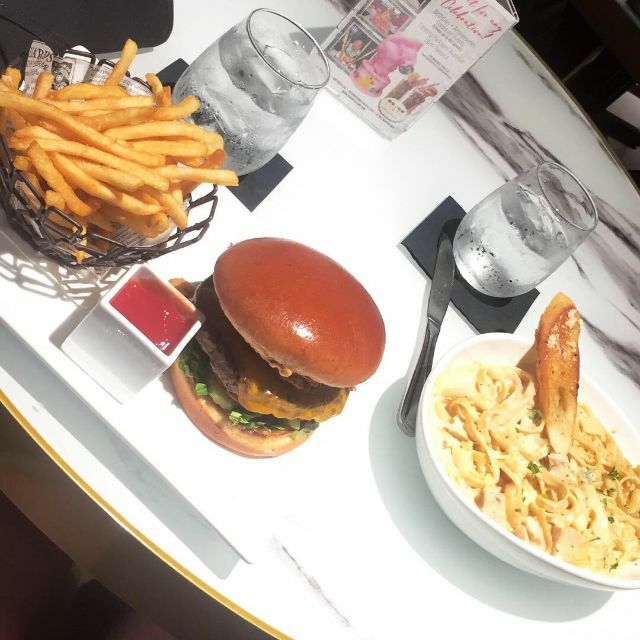 Our experience at sugar factory was full of excitement and the milkshakes where out of this world! 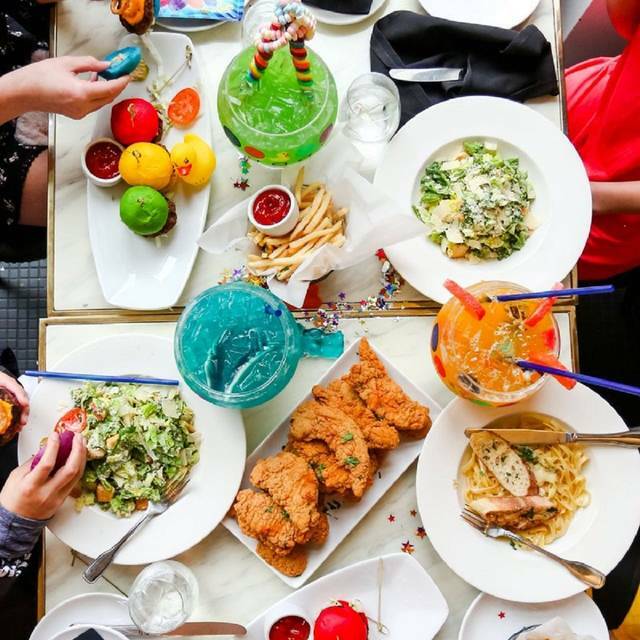 Sugar factory met my expectations because of its huge and extraordinary food! Had a lot of fun, will be coming back. Too loud too expensive and drinks are weak! Food is over priced and mediocre at best. I don’t think I will be back here. I wanted to go here for my 21st bday but there wasn't one in san diego yet but now i got to go for my 22nd. Waiting a year and acquiring all these expectations of what it would be like made me nervous to still go, but everything exceeded my expectations i am so happy i went here for my birthday it was amazing! Bad seating arrangements and horrible food quality. Extremely cheap taste at a high price. Went for my wife’s birthday. We both had a great time. Wasn’t sure what to expect, so I can safely say our expectations were exceeded. Not something we would do often, we don’t want diabetes, but it was a fun date and the drinks/food were very good. The service was also excellent. In two words: opulent decadence. I went with a couple of friends and our kids. We all enjoyed it. The food was good and the service was good. Food was good but service was really slow. There was not the many tables occupied for the amount of time the food took to be served. Other than that it was good. The theater VIP was great!!!! The Food and desserts are over priced. We had reservations at 3:45pm and we were there for 3 hours. Service was very slow, the food came out at different times, the desserts all came out at different times. had to go put more money in the meter= very inconvenient. felt ignored a lot. I had to ask other staff for bill, spoons, etc. Not worth the money. If this place had exceptional service that catered to all guests then maybe worth a second trip. We went for brunch on a Monday. It was not busy, we were the 6 th table in a large place. The waiter was nice enough but not very attentive. We had to wait for drinks and our food took 45 minutes. The eggs for my Eggs Benedict were overdone. I felt it to be overpriced and all hype. Not a fan. Vacation dining and the kids were really excited to have another chance to go to the Sugar Factory. They went to one of the New York locations and really liked it. The food was not the best this time and for the cost of it, I expected much more. The drinks were the highlight as always but our server was new and she poured the wrong drink into the goblets. Had to send them back and they take a while to make. So it ended up being a slow and costly evening. Not sure I would return to this location. 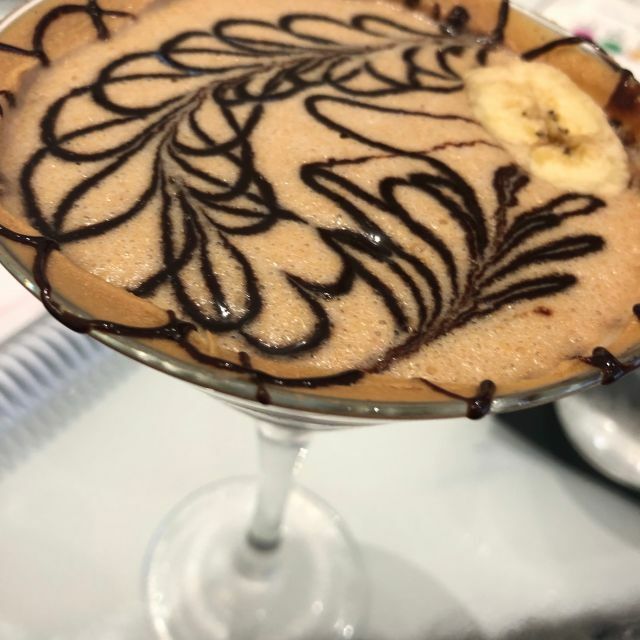 This was our third visit to the Sugar Factory and they do not disappoint. Wonderful atmosphere and quality food. This is the second time I’ve been to the sugar factory and honestly I’m definitely livid. I made this reservation for my friends birthday. I am happy they accommodated my request upon arrival getting the white dome booth. It took the manager to argue with the hostess to do so. However it went downhill based on the service. We waited approximately 20 minutes for our server to arrive, when she finally did we placed our drink orders and 1 appetizer. 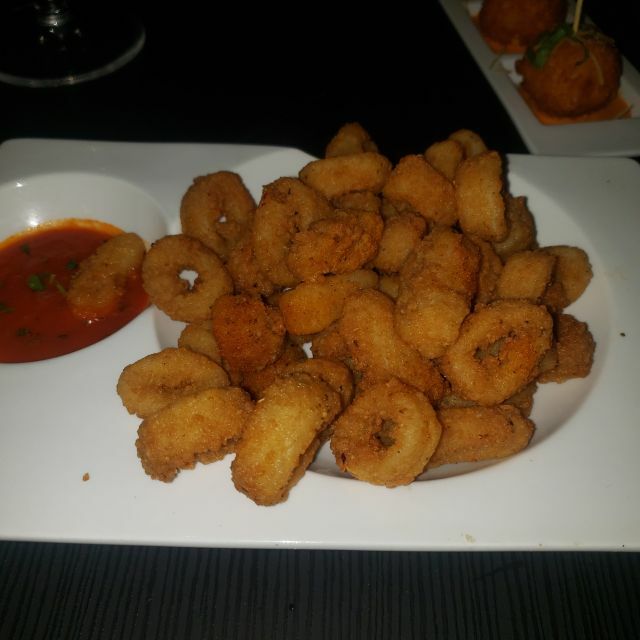 It took 30 mins for our appetizer to come and almost 45-1hr for our drinks to come. Mind you we sat down at 8:45pm and we didn’t receive ANYTHING until 9:20. By 9:20 when the server came around she said we have an hour until the kitchen closes. We tried to order but we requested to see the beer and wine menu. It took her 20 mins to do that. Finally when she did come she forgot the menu and left AGAIN to retrieve it. This time she finally got it and we got to order our food at the last minute. We ordered at 9:40 and didn’t get our food until 10:25. I requested that our food to come out when it was ready that way it would be extremely hot. The food came out all together and was on the warmer side and wasn’t really that good. I couldn’t exchange anything because the kitchen had closed. So by that time we were already fed up and wanted the check. Mind you it’s my friends BIRTHDAY and they go really big for birthdays. I requested before getting the check to bring out an Ice cream Sunday before hand. There literally was NO ICE CREAM NOR ACKNOWLEDGING HER BIRTHDAY and the waitress TOOK 30 MINS TO BRING THE CHECK! The back waiters did a better job than our waitress on timing and everything else. I will NEVER go there for ANY birthdays again. It’s a shame to watch everyone else have better experiences on their birthdays than us. Definitely a huge 0 star for the experience we had to endure for my friend’s birthday. She left crying and definitely unsatisfied with the whole restaurant. 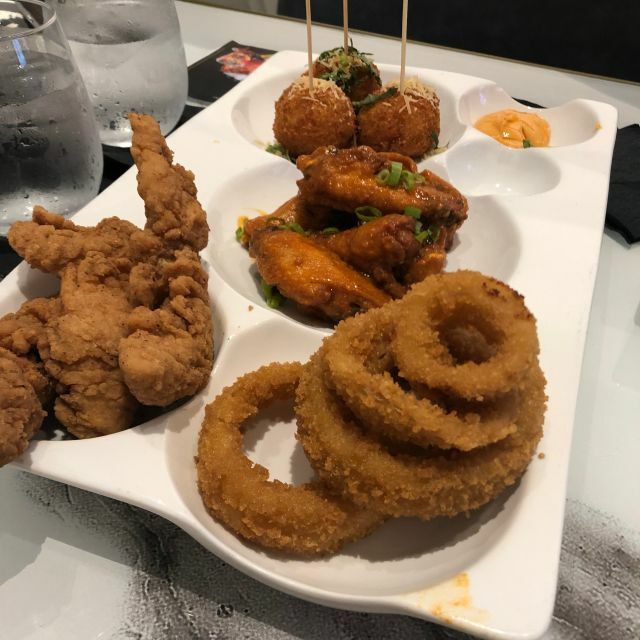 The drinks were great, but the food was not. 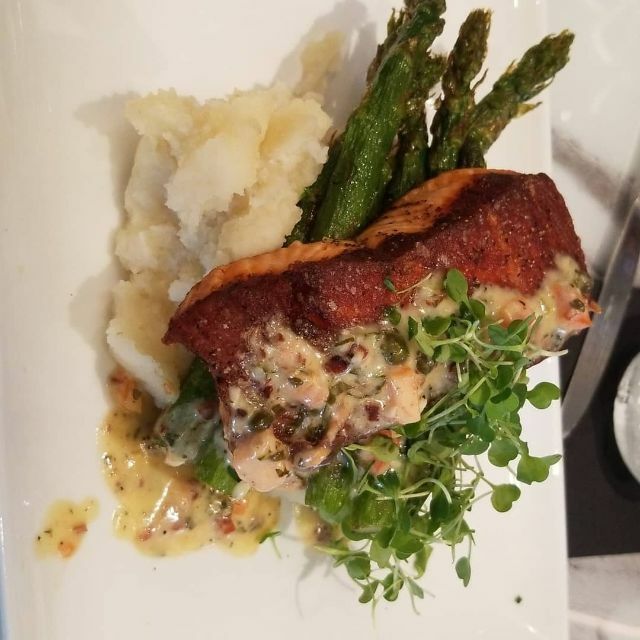 I had the salmon and was incredibly disappointed in the dish. 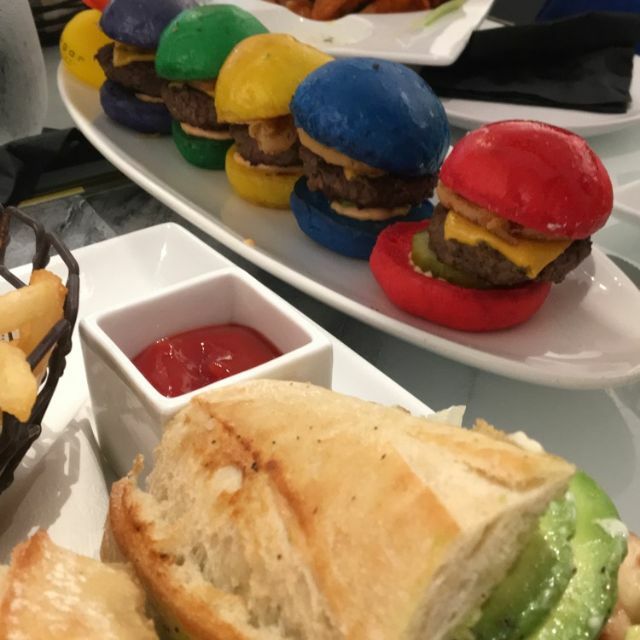 My friends ordered the slider burgers, shrimp alfredo and sampler platter. We were all so disappointed in the food. We arrived 30 minutes early for our 4:30pm reservation, and were greeted by a warm & friendly host who also was our waiter. David accommodated us immediately and seated us at a little table for two. This was our first time at Sugar Factory. We were celebrating our 4 month anniversary (16 year old love birds!). The ambience was fun & playful with a very upbeat vibe. David treated us with respect and made our date happy & cheerful. We sometimes experience poor service because we are teenagers. :( Our parents taught us to appreciate good food, as well as how to take care of our wait staff i.e. 20%+ tip for great service. Food: Best French Dip EVER!!!! Seriously! I've eaten at least 50+ in my 16 years of life, and Sugar Factory's far surpassed them all. My date gobbled up her burger before I even finished my French Dip.😆 After, we thought the Campfire Shake sounded fantastic, and it was out of this world! We took a video of us trying to take a bite of the S'mores topper. It's hilarious!! It was gigantic and soooo delicious! Value: I worked to save up money for our special anniversary date and was stoked that our meal & dessert were very affordable. Next time we plan to see a movie either before or after dinner. We both look forward to coming back, and will request David again for sure. We look forward to making more memories with you guys. This please is only for the experience. The food is horrible. Have a drink, take your pictures and call it a day! The food was delicious! The service not so great!!! Had a great time. Very busy but still made time for you. Manager was awesome in giving us a lounge table when plans changed. Great place. Great service, food and atmosphere . We got bottomless mimosas and our server never let our glass get half way. Although we had reservations for 10, we didn’t get seated till 10:30. Our server came to check at 10:45. Didn’t get our drinks for another 20 minutes. The food and drinks were great although I’m not sure if the drinks actually have alcohol in them. It’s was extremely loud. It had a club like atmosphere. The whole business seemed overwhelmed and unprepared. Waiter never came to check up on us we basically had to chase him down to get our check. My family and I went for my daughter’s 6th Birthday! Everything was great besides the waitress giving the attitude and vibe of not wanting to be at work. Her energy was very low, she seemed irritated with our question about the drinks (again this was our first time and wanted some opinion), but other than that, our experience was great! The food was ok, I got the steak and lobster, the lobster was very dry and the sides that came with weren’t flavored at all. 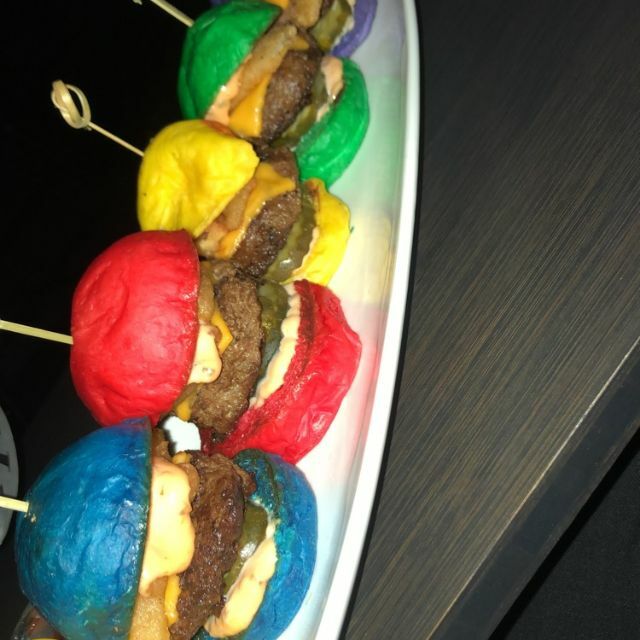 My daughter enjoyed the rainbow mini burgers and the fries were better than McDonalds! Also, their salad was absolutely THE BOMB! I got the ceaser salad and my mom got the chopped salad and my grandparents got the mixed greens salad and the flavor of each salad was perfect! Pricing was high!!! And the wait for our drinks, salad and entree was LONGGG! But again we enjoyed ourselves and my daughter enjoyed her milkshake too! Fun place! We will be back! The experience at the Sugar Factory was wonderful. We came to bond together for a Team Building event and it was quite a success! I thought I was at a club while I was trying to enjoy my $160 meal that was only worth $40. The party at TBC made it even more noisy. Me and my guest could barely hear each other sitting next to each other. The table base made it hard to sit comfortably because I either had to open my legs with a dress on or push the table away and lean in to eat. My $40 drink was so full of ice that it was actually easy to drink. By the look of it I thought I was going to struggle to drink it all, but there was barely in the goblet. I would not return to the Sugar Factory and I wouldn’t send anyone else to wait their time and money. This restaurant is pretty loud so if your looking for something low key, this is not the place. All of the food, drinks were awesome. Service was great until dessert. Then we waited 30 minutes to get a milkshake and fondue plate. When the desserts came out the chocolate fondue was cold and the candle under the pot wasn't even lit. All in all it was a pretty good experience. Hi energy place that's perfect for birthday and/or a party atmosphere! When we got there, our table wobbled do bad and everything on the table felt sticky and grimy. Service was really slow. The couple next to us waited a while for their check. They eventually got tired of waiting and just left cash on the table and left disappointed. We waved our server numerous times and had to wait a long time to receive our check. The family next to us complained to the manager about the slow service. We had a great time!! Good service and good food. Great food, service and experience. It's a great party place. Not really sensory friendly though. Otherwise, so much fun.